Seven years into the conflict, civilians in many parts of Syria continue to endure unprecedented violence, suffering, and protection threats. 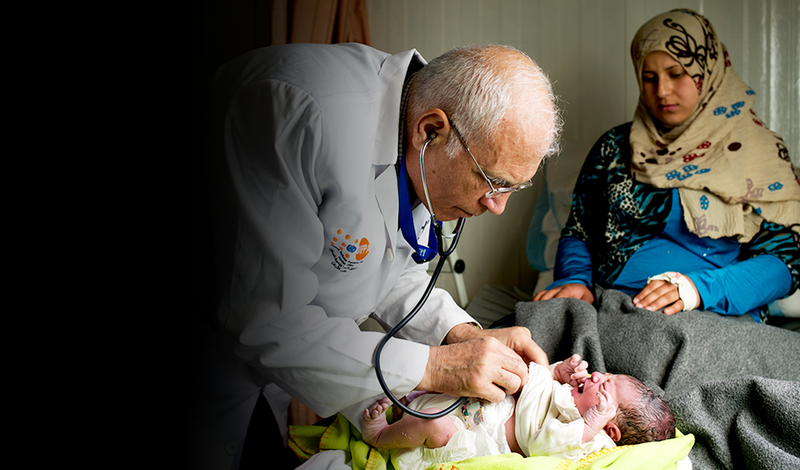 Over 13 million people require humanitarian aid, among which UNFPA is targeting 3.8 million. The systematic removal of medical items from assistance destined for UN-declared besieged and hard-to-reach areas continues, with more than 600,000 medical items removed from or prevented from being loaded on UN inter-agency convoys in the first eight months of 2017. Since January 2018, UNFPA has supported 130 functional health facilities that provide Emergency Obstetric Care and functional primary health care facilities and trained over 700 personnel on sexual and reproductive health (SRH) and gender-based violence (GBV). 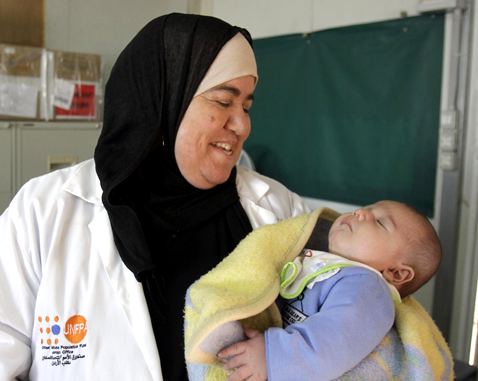 UNFPA is leading the GBV sub-cluster and the SRH / Minimum Initial Service Package working group in Syria. Deux femmes parlent de guerre, de mariage forcé, de violence domestique, de status de réfugié et d'évasion.